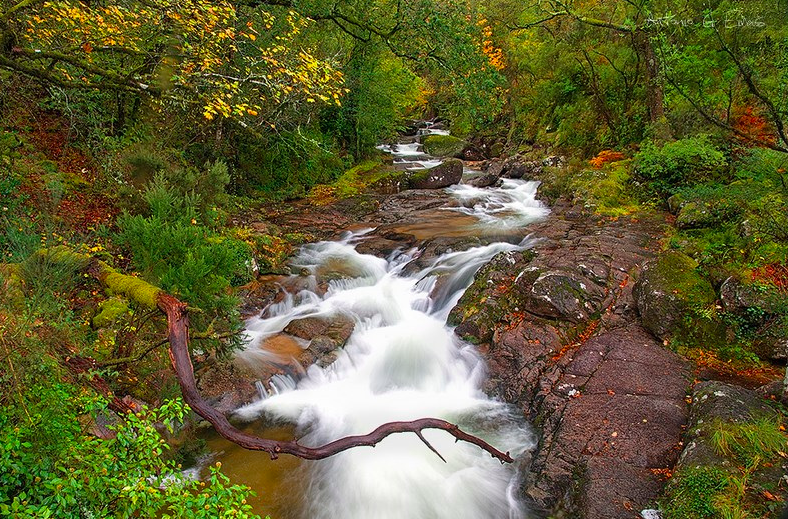 When you think of Portugal, do you imagine lush green forests teeming with wildlife? What about rushing rivers filled with fresh water eels, trout, perch, carpe, barbell and blue mussels? I’d even go so far to say that you’ve never even considered the possibility of rock climbing, canyoning, hiking or rafting through majestic valleys overflowing with brightly colored wildflowers! Portugal has some of the most astounding Natural Parks in the world, but Peneda-Gerês National Park in the north of Portugal is by far one of our favorites! All 269 square miles (697 square kilometers) is inhabited by humans, but is highly regulated to ensure that the ecosystem is constantly supervised, nurtured and carefully exploited to support conservancy. The incredible irony is, few people outside Portugal have experienced its breathtaking beauty. Ask a Portuguese person about Geres, and they’ll swoon while singing about the vast number of wild horses, megalithic tombs and Roman roads! Much like Parque da Cidade in Porto, Geres has remained hidden from nature lovers eager to explore the rustic, green side of Portugal…that is, until now. On a gorgeous Wednesday morning, our Catavino crew kicked off from work and headed to the mountains with Oporto Adventure Tours. As you can imagine, summer work days are challenging at best, so to have an excuse to play in mountains streams was irresistible. Our car was flush with excitement as we bantered about the day, not to mention, jacked on espresso. Through thick green forests and winding terraced hills, we eventually landed at the top of Tahiti waterfalls, a series of mini pools that end in a crystal clear slice of heaven. Sure, you’ll have to play Frogger, jumping from boulder to boulder in order to get to the other side of the stream, but the end result is delicious! How does Tahiti Waterfalls compare to the Blue Well, a stunning mountain spring tucked above the tree line. I won’t say the Blue Well was the easiest hike with a wee one strapped to your back, but it was one of my favorite visits on the tour, in large part, because I love to dive! There’s nothing quite as exhilarating as diving off a towering boulder into gorgeous clear waters, to feel your body come alive when your feet hit the surface. Maybe not for the fainthearted, but surely for anyone keen to crank your adrenaline levels up a few notches. Maybe by this point you’re thinking? “Hey Gabriella, this is great and all, but what do they feed you on this thing?” Great question! First off, you have the opportunity to go old-school with a sweet elderly woman in the village of Ermida, making bread by hand. A large ball of dough in one hand, an even larger mug of wine in the other, it tugs at the gastronomic heartstrings. The carnivore inside you will equally be satiated as you sit on a terrace enjoying several plates of locally sourced foods such as: chorizo, pataniscas de bacalhau and sweet melon. Simple, rustic and accompanied by a stunning view. I think it’s fair to say that the tour gave us a newfound appreciation for Portugal’s green side. When in a new country, it’s hard to know exactly where to go, with whom and how. But when you have fun-loving professionals to guide you, suddenly the stress pummels off your back so you can simply experience the beauty for what it is…unforgettable. Below you’ll experience that magic day thanks to the amazing videography of David Antunes. 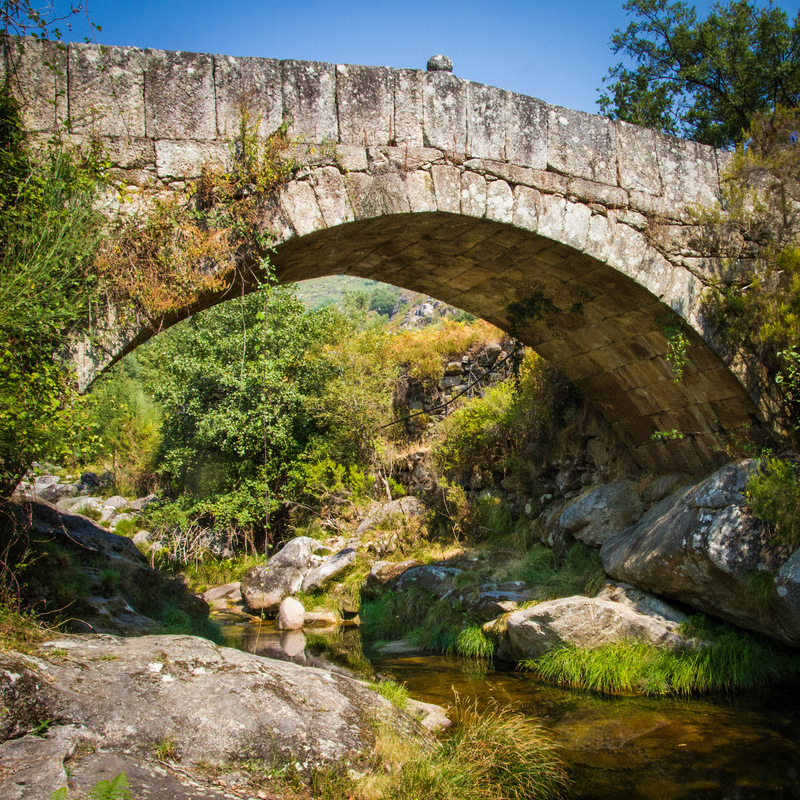 If you’re keen to experience Peneda-Gerês in all its glory, click here to book a tour! Carla and Sergio are a husband and wife team that have always wanted to share Geres, but in a way that respects both the people who live here and the surrounding nature. Hence the creation of Oporto Adventure Tours! They specialize in canyoning, hiking, rafting, kayaking and off-road biking, perfect for the adventurous among you!